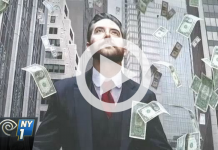 Home Uncategorized Donate $ without It Costing You a Penny! When you buy absolutely anything and everything (well, except digital goods like e-books) via Amazon, they will donate 0.5% of cost of the purchase to your designated charity. 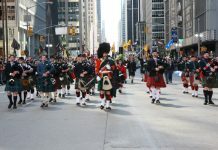 The NY Tartan Day Parade, www.nyctartanweek.org, celebrates America’s Scottish heritage and enables myriad Scottish groups to showcase themselves during Tartan Week. But it doesn’t organize itself – it’s run by volunteers — and it doesn’t happen at no cost; alas it takes actual money. 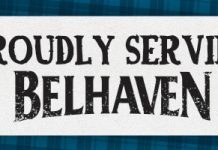 Please help us by making the Parade charity, The National Tartan Day New York Committee, a bona fide 501 c 3, your charity of choice. (1) Go into Amazon, www.smile.amazon.com. (2) Bottom right hand corner of first Page, type National Tartan Day New York Committee. (3) Buy your stuff in the usual way. All you have to do is follow (1) and (2) for us, and (3) and (4) for yourself. Thaaaanks everyone. If you have any questions, please email us at info@nyctartanweek.org. Previous articleKevin McKidd, Grand Marshal, 2013 New York Tartan Day Parade! 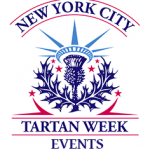 Next articleWelcome to Tartan Week 2014!